Buying an apartment is one of the most serious steps in life. It requires a lot of planning, savings and to be as prepared as possible. On this part two of the series, I will talk about the mortgage and downpayment. To read part 1 click here. Download a copy of the ‘Downpayment and monthly cost model’ and enter your own figures. Calculate your Downpayment threshold – determine the price of the apartment you can afford in reality. Calculate your Total Monthly cost – estimate how much it costs monthly at a realistic property price. You can borrow about 4.5x your annual income (since Jan 2018). Using an average disposable income of 45,000 KR/ month in Stockholm, one can borrow around 2.4m (=45000*12*4.5). Your loan interest is 30% tax deductible! This means that you get 30% off, paying your interest at a very low and discounted price for owning the entire apartment rather than paying for someone else’s and still not owning any parts of it. 2) Savings in your bank for the downpayment – The downpayment (‘Kontantinsats’ in Swedish) is the initial money you are required to pay when the purchase is made. The money is readily available in your Swedish bank to be transferred to the seller. A minimum 15% of the apartment value is required by Swedish law. Note that if you have a lower income level, you may not be able to borrow enough to cover the full amount of 2.4 m. You will then be required to pay >15% depending on your apartment ‘s price. In that case, choose a smaller and cheaper apartment instead. So, how much do you need for the downpayment? Being a foreigner, you may not be able to borrow as much with less than 3 years of bank records in Sweden. Several hundred thousand KR might sound a lot for a young professional. This is one of the reasons why many local parents buy an apartment for their children to give them when they finish university. However, if you have already been working for several years, then you might possibly be able to have the downpayment by yourself with a smart savings plan. Request to download your downpayment calculator here. Using the above scenario of 45,000 KR as a monthly income and a 15% downpayment, you can consider buying an apartment worth of 2.5m with a downpayment of 375,000 KR and a loan of 2.1m (<2.4m of what your bank would allow). For any apartment of 2.86m or above, you will be paying >15% as your max loan offers only to 2.4m. e.g. 31% of downpayment for a 3.5m apartment. Try entering your own income level in the calculator now, check the maximum loan you can borrow and the optimal amount of down payment you can handle. Mortgage Loan Interest (‘Bolåneräntor’ in Swedish) – Varies according to which bank you choose. Amortization – This is not really a cost. Simply put, this is the money you slowly pay off the total amount you borrowed (principal) through a monthly period. The amount you pay is around 2% of your loan. Note that after your loan-to-apartment price (/loan-to-value) ratio reaches below 50%, you will no longer need to be paying amortization. The general thumb rule is: ‘Borrowers granted mortgage loans after June 1, 2016 must repay 1% of total loan principal yearly if the loan-to-value (LTV) ratio is 50-70%. If LTV exceeds 70%, the repayment must be 2% of principal’ (SEB, Dec 2018). Housing Association fee (‘Avgift’in Swedish) – aka management fee for the association who takes care of the building. Utility costs: This is a small payment. Heating is free in Sweden according to the law. Some buildings come with free water and cheaper wifi package. Internet, insurance and electricity will usually amount to about 500kr/month per person. Currently, most small apartments in Central Stockholm are priced around 2.5-3.5m. Assume that you buy an apartment worth of 2.5m, with a downpayment of 15%, interest of 1.5% and amortization rate of 2%. Your monthly costs are 7,492 tr in total. However, you will only receive the 30% tax refund on your loan interests (9,563 tr=31,900*30%) at the END of each fiscal year, so make sure you have enough cash flow to pay 8,289 KR each month. As I mentioned in Part 1, the actual cost of the apartment is only about 3,000 KR/ month. This happens when your loan to apartment price is less than 50%, meaning that you pay off a good level of loans. Then your amortization rate will equate to 0%, i.e. your monthly amortization amounts to 0. This way, you are exempted from paying 10,000 KR per year. Your total monthly cost after tax deduction will now be 3,163 KR per month. Now, compare that to your rental costs (12,000 KR/ month)! If you are still renting, you are basically helping the flat owner repay his/her million KR loan. After completing this exercise, it’s time to check the market to see if there are apartments in your price range. The posts on this Blog are distributed for informational and entertainment purposes ONLY. Forecasts, estimates and certain information contained here should not be considered as investment advice or a recommendation of any particular security, strategy or investment product. Past performance is not indicative of future results. The Author in no way guarantees any specific outcome or profit. Investments can lose money over short or even long periods of time. You should consult your financial advisor before making an investment decision. Teenie is a Stockholm-based investment advisor and tech enthusiast. Inspired by the gigantic potential of Stockholm aka 'Unicorn Factory', Teenie left her job from a top-tier bank in Hong Kong and moved to Sweden in 2017. Prior to that, she worked in different countries across Europe and Asia, challenging herself on cross-border investments and business development. 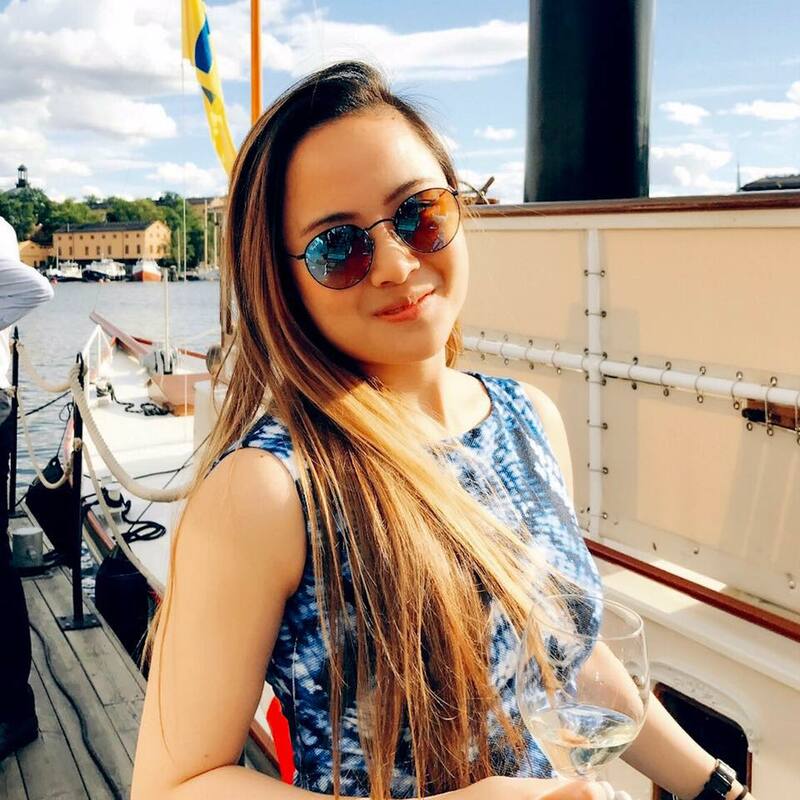 Since the beginning of her new life in Stockholm, she has been actively engaged with high-tech transactions from startups to multi-billion dollar companies in the Nordics. She's also the creator of an online activewear brand (yogafriday.com) and the founder of a fashion community that is still active today in England. At present, Teenie continues to seek for emerging technologies in pursuit of improving everyday living and a better future. Hi, Can you tell me how much is the housing association fees i mean how it is calculated. Also, what is the standard insurance cost for homes and loan set up fees charged by bank. Unfortunately, we can not provide you with any specific information except the ones included in the article. All the information we have on the subject is already on our website where you can easily find it. You can also join our Facebook group and ask other Newbies there. Take care!